The 4th of July fireworks that we saw last night would not be possible without minerals. Fireworks mainly contain gunpowder, which is a combination of charcoal, sulfur, and the mineral potassium nitrate. In order to create the pretty colors we are used to seeing in fireworks, mineral salts are added. 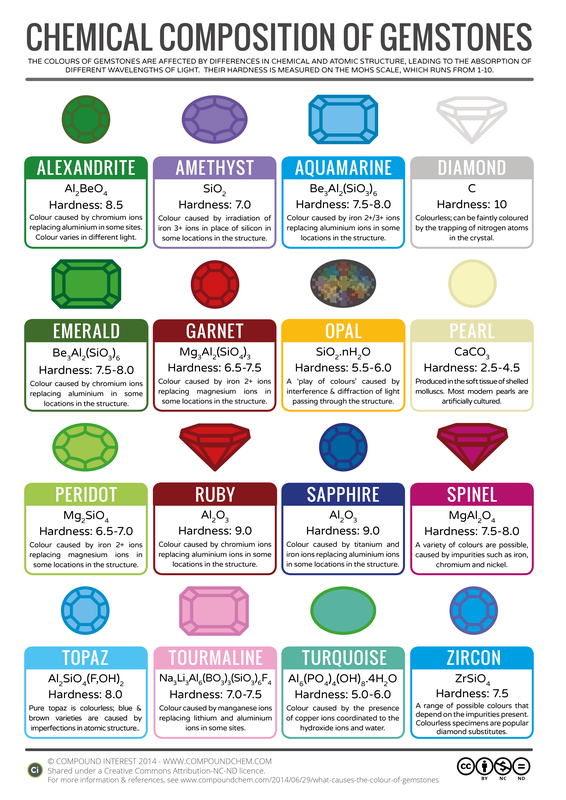 This infographic from Compound Interest explains which mineral salts create which colors. If you go to the website, you can read a lot more about the chemistry of fireworks and a brief explanation of why different minerals make different colored flames. I learned that blue fireworks are very difficult to produce because copper chloride breaks down at high temperatures, so they have to somehow keep the temperature hot enough to ignite but not so hot that the blue color vanishes. Thus, you almost never see purple fireworks because it is a combination of red and blue. Since it’s January, it’s a good time to read about this garnet originally posted by Chemistry in Pictures. In this article from Chemical & Engineering News, researchers use chemistry to find out what colors the dinosaurs were. 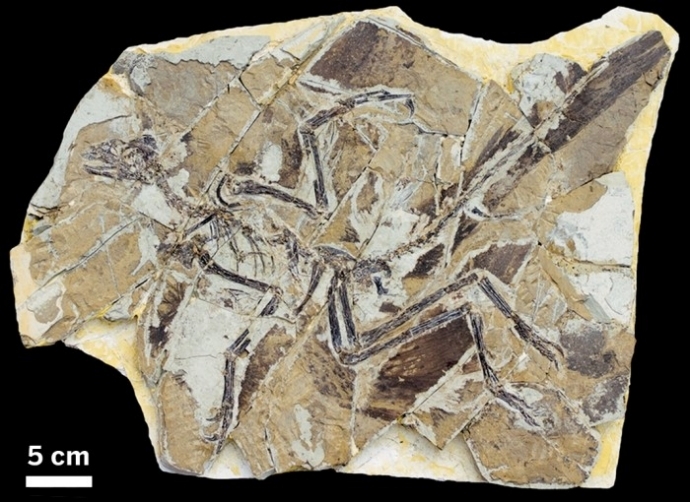 Researchers led by Johan Lindgren of Lund University, in Sweden, used a battery of analytical techniques to scrutinize the molecular makeup of a fossilized Anchiornis huxleyi specimen. This dinosaur is a distant relative of today’s birds, and its remnants were preserved for about 150 million years in what is now northeastern China. The researchers’ thorough analyses have allowed them to conclude that some of the dinosaur’s melanin, or pigment molecules, and melanin-producing organelles have also survived the intervening epochs (Sci. Rep. 2015, DOI: 10.1038/srep13520). Scientists have previously observed signs of similar biomaterials in fossils, but studies have lacked sufficient evidence to rule out the idea that these materials come from bacteria or other microbial intruders. Using methods including infrared spectroscopy and time-of-flight secondary ion mass spectrometry, Lindgren and his colleagues have shown that the sample’s fossilized feathers contain substances that closely resemble modern animal—not bacterial—eumelanin, the pigments responsible for brown and black coloration.